Tamarindo Sportfishing is the fishing charter company of renowned Captain Randy Wilson, one of Costa Rica’s top skippers. Its location in Playa Tamarindo, a popular tourist destination on the Pacific coast of Costa Rica, provides easy access to the deep water and rich fishing beyond the Continental Shelf. Tamarindo Sportfishing’s fleet comprises three boats – the 38’ Talking Fish, the 27’ OutCast and the 27’ Salsa. The boats never run more than an hour (usually only 30-40 minutes) to look for billfish. 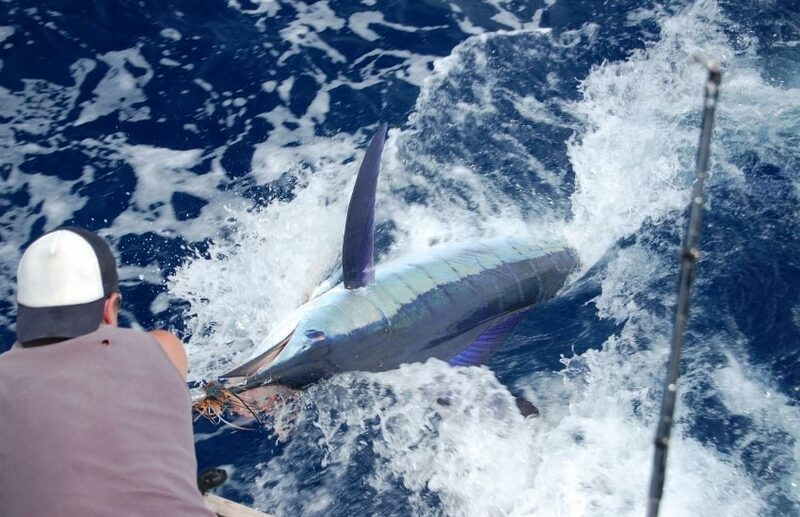 While each year may be slightly different, the catch rate for all game fish (sailfish, blue, black and striped marlin, yellowfin tuna, dorado, wahoo, roosterfish, snapper) is fairly consistent all months of the year. Traditionally though, April through September are excellent for sails, marlin, tuna and dolphin. Captain Randy Wilson is committed to sustainable catch-and-release sportfishing through effective hook retrieval from all fish. Have you fished with Tamarindo Sportfishing – Tamarindo, Costa Rica? Submit your review below and tell us all about it.